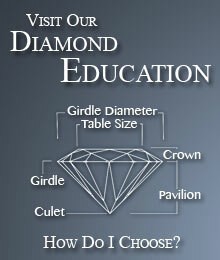 EGL's grading system looks similar to that of GIA’s, but is actually quite different. Their grading standards are far more liberal than that of GIA's. Nothing wrong with buying an EGL stone, as long as you understand this and pay accordingly. 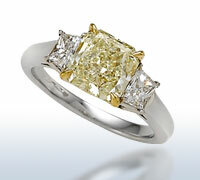 Fancy Yellow DiamondsWe specialize in GIA certified Fancy Yellow, or Canary Diamonds. 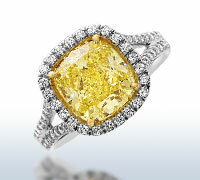 Choose from over 1,000 yellow diamonds, and then select a ring specifically designed to compliment a yellow diamond. 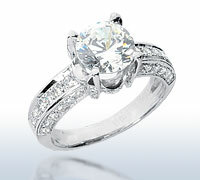 Engagement RingsView one of the largest internet selections of engagement rings. Traditional to fancy - we have them all. 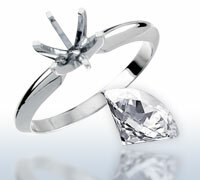 Available in 14K, 18K, platinum or palladium, all at manufacturer direct prices. 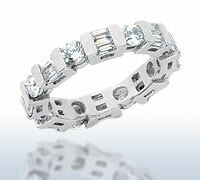 Diamond BandsEternity rings, 3 stone rings, round, baguette, princess, prong set, channel set - too many varities to list. We have them all. 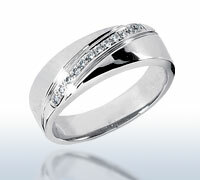 Wedding RingsPlatinum, 14K & 18K plain bands, design, & diamond. Very large selection online - prices hard to beat. Large selection of comfort fit styles. Build a RingBuild your own a ring. Just 3 easy steps to design the ring of your dreams! 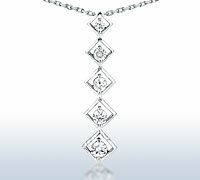 Other JewelryDiamond earrings, diamond tennis bracelets, diamond pendants, mothers rings, as well as all other types of rings, bracelets, necklaces, and pendants.